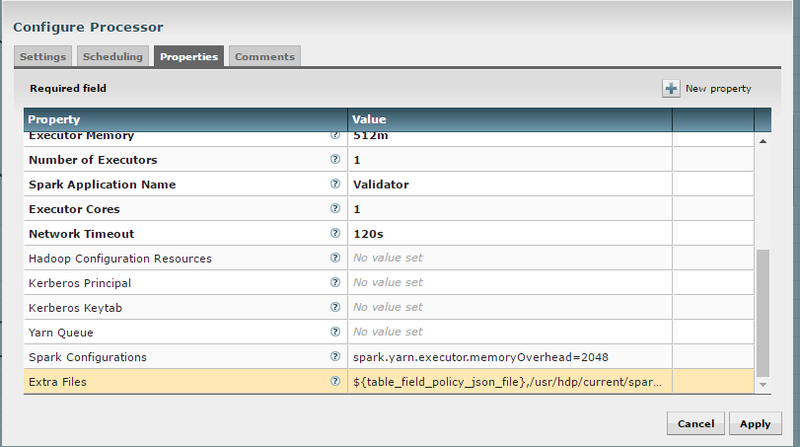 In order for the yarn cluster mode to work to validate the Spark processor, the JSON policy file has to be passed to the cluster. In addition the hive-site.xml file needs to be passed. 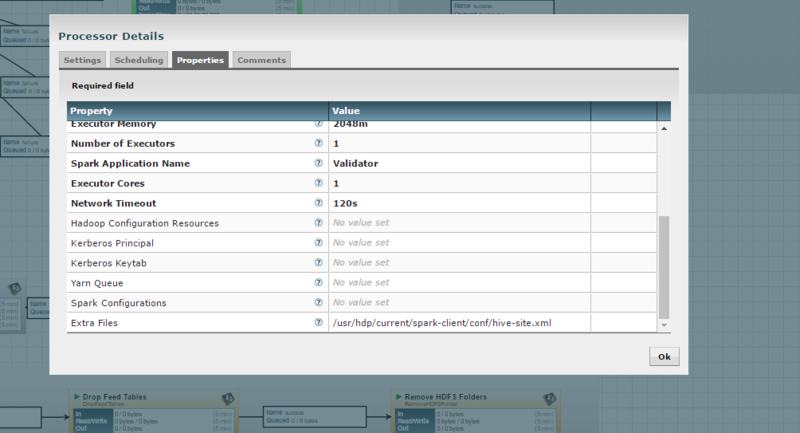 This should work for both HDP and Cloudera clusters. You must have Kylo installed. This step is required only for HDP and is not required on Cloudera. Add this file location to the “Extra Files” parameter. To add multiple files, separate them with a comma. If using the “Validate and Split Records” processor in the standard-ingest template, pass the JSON policy file as well.